Hit the gym and eat right, and you'll build muscle, burn fat—and have thick, great-looking hair. "Exercise increases the blood supply to your muscles as well as your hair, which stimulates growth," says Jim White, R.D., a spokesperson for the American Dietetic Association. "And the foods we eat for muscle also promote hair health." Just be sure you're eating balanced diet. "Your body has a priority system," says Amy Newburger, M.D., director of Dermatology Consultants of Westchester in Scarsdale, New York. "If it only has a limited number of nutrients, your body sends those nutrients to the cells essential for life. So your hair is one of the first type of cells to go." Keep your hair (and entire body) healthy by including these nutrients in your daily diet. You know you need adequate protein to build muscle—and you also need it for healthy hair because hair is made primarily of protein. Low-quality protein can lead to weak, brittle hair or a loss of hair color—but chances are, if you're trying to add or maintain muscle, you already eat enough. Low iron levels can lead to baldness, according to a Cleveland Clinic review. Researchers looked at 11 studies on the relationship between iron intake and hair loss, and concluded that treating iron deficiency may help regrow hair. Shedding more often? You may need to increase your intake of zinc. Studies show this mineral can affect levels of androgens, hormones associated with hair loss. "Omega-3s are known to support scalp help—a deficiency can result in dry scalp and dull hair," White says. And no woman will want to run her fingers through that. In a 6-month pilot study, Taiwanese scientists found that lignans—disease-fighting compounds found in flaxseed—may help slow hair loss. Nine of the 10 men in the study reported modest to much improvement in the number of hairs shed daily. Good source: Flaxseed. Lignans are found in the flaxseed's shell, so buy ground whole seeds in your supermarket's health-food section. The men in the study consumed 1 1/2 tablespoons a day. Try adding flaxseed to oatmeal or smoothies. If you have dry hair—or just want to prevent straw-like strands—drink more. "Hair is one-quarter water," White says. He recommends the typical eight glasses a day. Bring a water bottle to work so you don't spend the entire day refilling your mug at the fountain. Vitamin C helps your body absorb iron, so a deficiency can make hair dry and weak. You likely take in enough C from your diet, as long as you eat a variety of fruits and vegetables daily. Many people face the problem of hair loss. Though losing 50-100 hairs per day is considered as normal, losing hair cause concern and mental stress in people. Acute hair loss can affect the appearance of a person and affects their confidence levels. There are many natural remedies which are capable of inducing proper hair growth and the most important and effective among them is Onion juice. 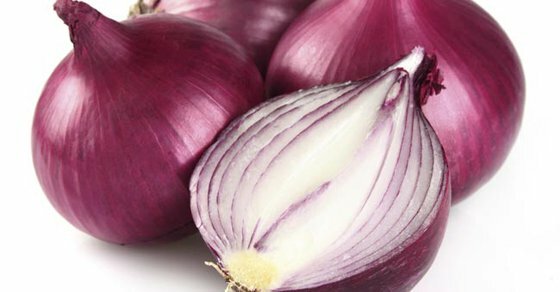 Most of the people are unaware of how onions are effective in promoting hair growth. Onions have rich sulfur content in them. Onion juices when applied on the scalp alone or in combination with other hair loss remedies can improve the blood circulation to the scalp. Sulfur also improves the production of collagen tissues which is necessary for the growth of hair. Hair grows from the hair follicles in the scalp and increased blood supply to the scalp brings better nutrients and nourishment to the follicles and promotes hair growth. The sulfur content in the juice also has anti-bacterial properties and prevents the growth of fungi and bacteria on the scalp which reduces the chances of losing hair due to these infections. Onion juice increases the strength of the hair and prevents thinning and breakage. You can achieve improved volume to your hair by regularly applying the onion juice on the scalp. To achieve hair growth with the help of onion juice you need to extract the juice of the onions and apply it on the scalp thoroughly. Though, the juice has a pungent smell, the remedy is highly effective in achieving the results you need. You need to keep the juice on the scalp for at least 30 minutes. You can keep it for longer if you will be able to bear the smell of the juice. Rinse off the juice using water and mild shampoo. You will have to repeat this remedy at least three times a week for at least two months to see the results.